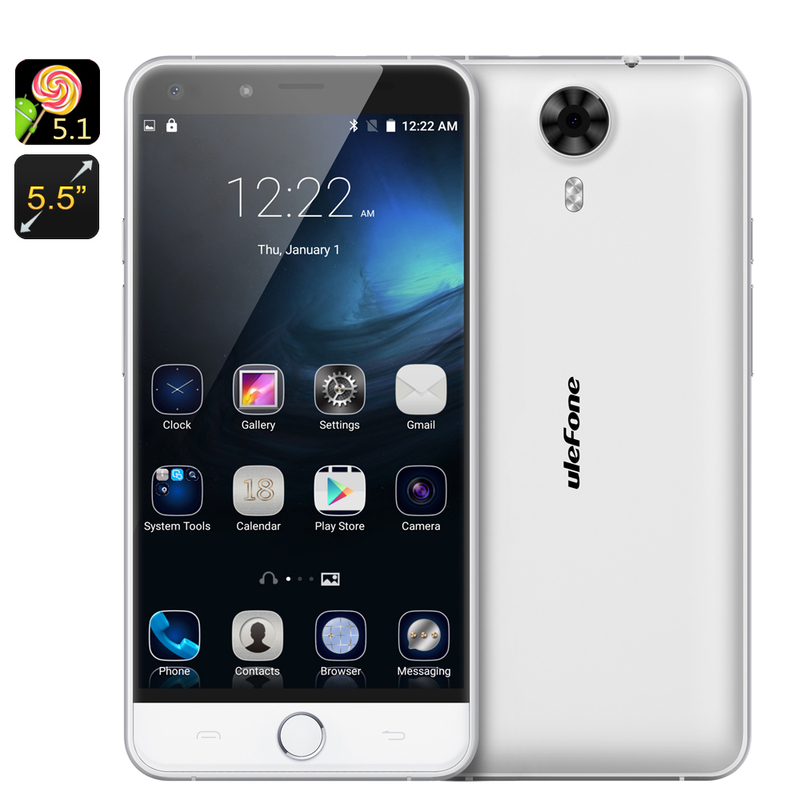 Successfully Added Ulefone Be Touch 3 Smartphone - 5.5 Inch FHD 2.5D Arc Screen, 4G, Dual SIM, Android 5.1, 3GB RAM (White) to your Shopping Cart. Now only at Chinavasion, FREE tempered glass screen protector and rubber case! Value: 14.99 USD. Ulefone Be Touch 3, More battery, More power, More Fun! Ulefone have been around for a bit of time now and with this latest phone they have combined their expertise with some quality components to bring a flagship killing phone to the market for under $200. Using the same popular styling as the Be Touch 2 this metallic framed phone has an exquisite exterior. Beneath the sleek outer is an Octa Core MTK CPU running alongside 3GB of RAM that delivers in spades when it comes to performance. This monstrously powerful device puts it at the top end of charts when comparing benchmark performance and makes it ideal for the avid gamer and heavy phone users. The Ulefone Be Touch 3 has a colorful and bright 5.5 inch screen that delivers full HD resolutions and is protected by Corning Gorilla Glass 3. This 2.5D arc curved screen lets you view from wide angles of up to 178 degrees so you can share the visual feast with friends. For operational excellence the Be Tough 3 has been enhanced by the energy saving efficiency of Android 5.1 and optimized power usage from this efficient system bring you up to 6 hours of continuous talk time or roughly 300 hours in standby. That's an exceptional achievement from a 2550 mAh battery but this is no ordinary battery, Ulefone state that its quick charge technology can allow for a 35% battery charge in just 15 minutes. If you're still not impressed then check out the dual SIM 4G connectivity. Now you can stream a HD movie direct to this phone through its cellular data connection and with possible 150Gbps data rates for 4G that's just the beginning of its potential. The Be Touch 3 from Ulefone comes with a 12 months warranty, brought to you by the leader in electronic devices as well as wholesale Android Smartphones..
A very good mobile and fast performance. A very good value for money. The camera is excellent.